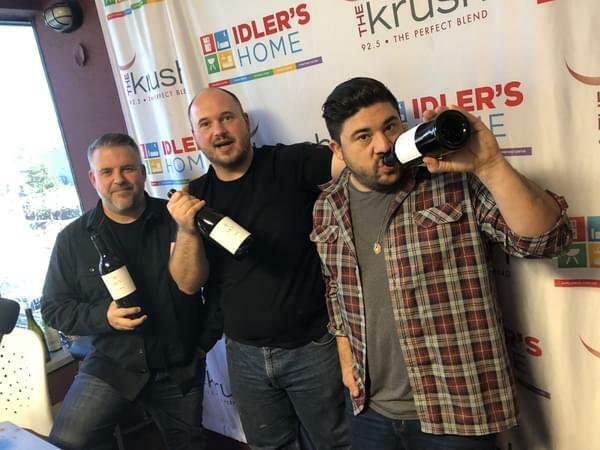 We got Matt from MCV Wines in today to talk about the Valentines Day Dinner that is going to be happening at his Morro Bay tasting room. Matt brings in some insanely delicious pork belly and truffles to taste. The best part, Matt’s profeessional Chef Brother in Law will be making the 5-course dinner on Valentines Day. We thought it was good now, we can’t wait to taste how it’ll be next week. The courses will also each be paired with some of MCV’s wines. Matt brought in the wines that will be paired; a 2014, 2015 and 2016 Petite Syrah, the 2013 Black and Matt’s flagship wines, the 2015 1105.